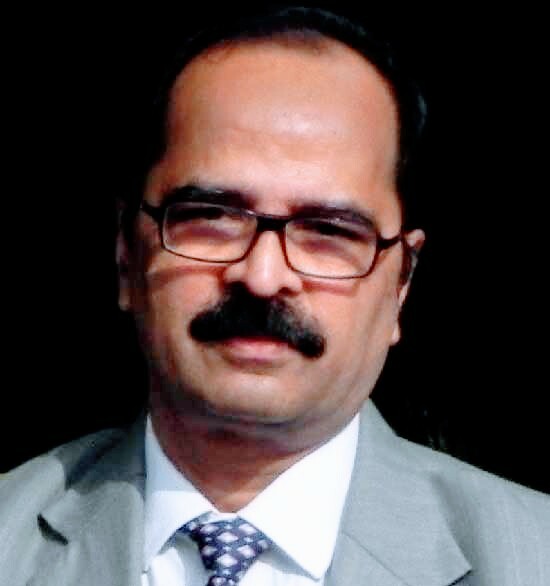 Dr. N Sarat Chandra Babu has joined as the Executive Director, SETS Chennai on 4th December 2017. Dr. Sarat obtained his B.Tech from JNTU College of Engineering, Kakinada, M.Tech from REC, Warangal and Ph.D. from IIT, Delhi. He has considerable experience of over three and half decades in R&D, Project implementation and Co-ordination, Education and training. Prior to joining SETS, he worked in C-DAC as the Executive Director, C-DAC Bangalore and Director C-DAC Hyderabad. He worked at Department of Electronics, Govt. of India (Presently Ministry of Electronics & Information Technology) at various levels. He contributed to telecom sector while working at R&D Switching Division of the Indian Telephone Industries Ltd.(ITI), Bangalore. He worked as faculty at REC, Warangal (presently NIT, Warangal). As a Founder Director of C-DAC, Hyderabad, he established the centre right from the inception level and moulded the centre into a vibrant Research, Development and Training Centre with a focus on End System Security products development, e-Learning, Embedded systems and Ubiquitous Computing. He was responsible in initiating six months diploma programs of C-DAC in the areas of Embedded Systems, System software etc. He established the e-Suraksha Concept Lab to train Government officers using various cyber security tools. As Executive Director, C-DAC Bangalore, he lead the teams in the areas of HPC, Grid & Cloud Computing, Big Data Analytics, Cyber Security, Internet of Things, and ICT for Social Welfare. He lead the Cyber security teams with focus on High speed Cryptology, SCADA Security, Cloud Security, IOT Security & Network Security, PKI, Info Sec awareness etc. He is instrumental in developing a feasibility study report of India Microprocessor and submitted to Government of India. He played active role in the National Super Computing Mission programme. He contributed to first of its kind projects such as Irrigation Canal Automation, Plant wide networking of Bhilai Steel Plant, Operator Independent Truck Dispatch System (OITDS) for Opencast Mines; UNDP Program of Microprocessor Application Engineering Programme (MAEP), Establishment of National Level Ubiquitous Computing Research Resource Centres, India Development Gateway (InDG) Portal (launched by the President of India), National awareness Campaign on Information Security. He was part of the design and implementation team of the first Digital Exchange of India. He took initiatives to transfer technology of R&D outcomes to industry at ITI, DoE and C-DAC. Dr. Sarat was instrumental in conducting many National level Conferences such as ELELTECH INDIA, UbiCOMP INDIA, PARCOMPTECH INDIA, THINK PARALLEL, e-Suraksha (e-Security) Programmes etc. He has published around 70 papers in various National and International Journals & Conferences. He is a Senior Member-IEEE, Fellow-IETE, Life Member CSI and Member in ACM, ACCS.